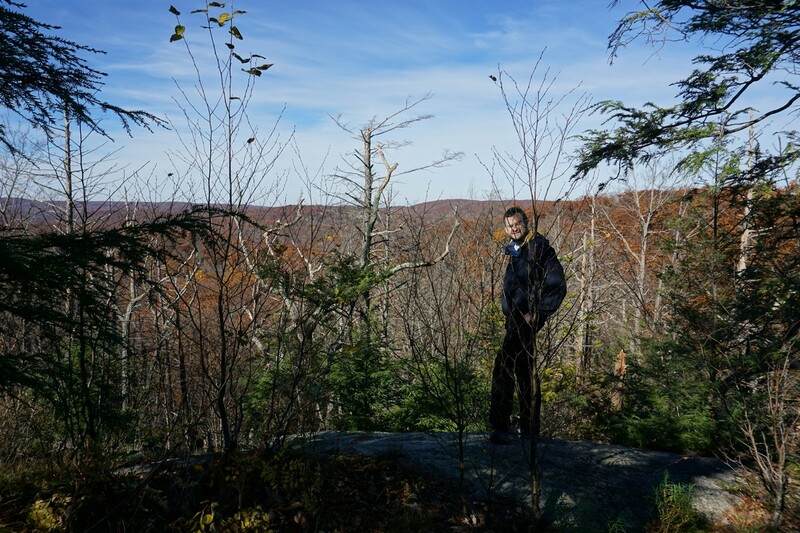 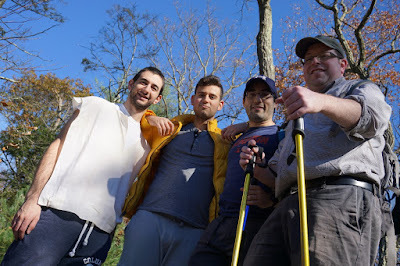 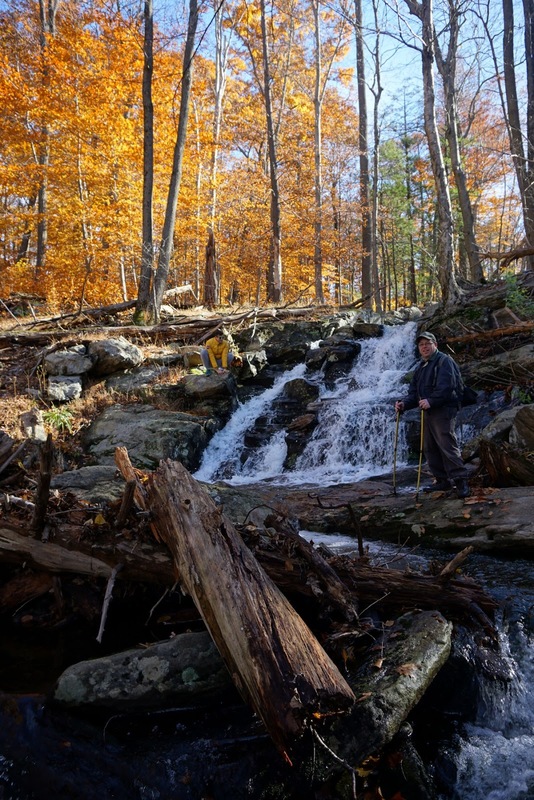 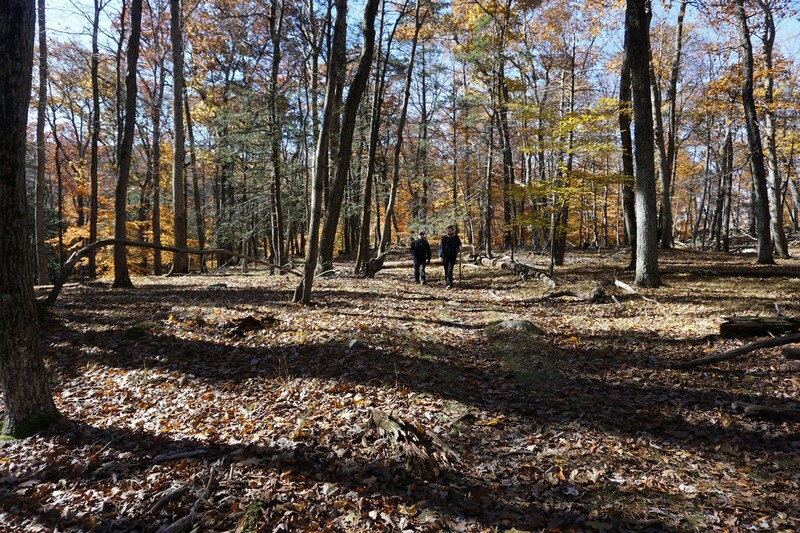 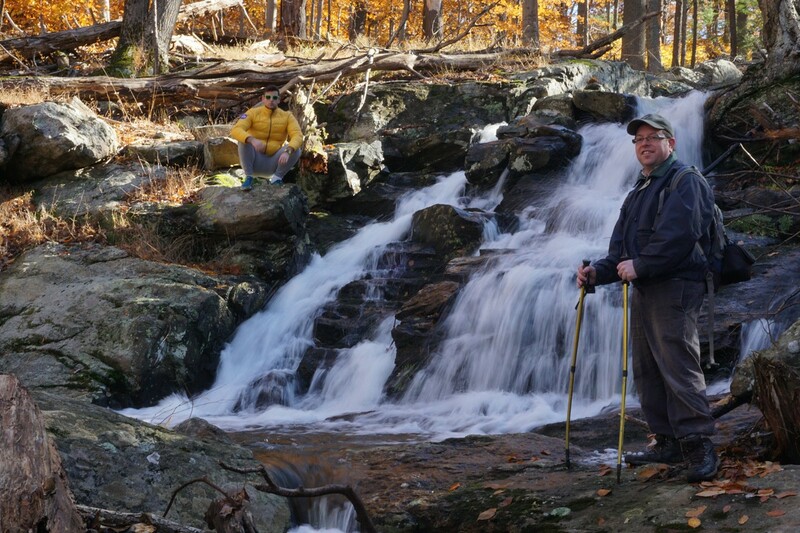 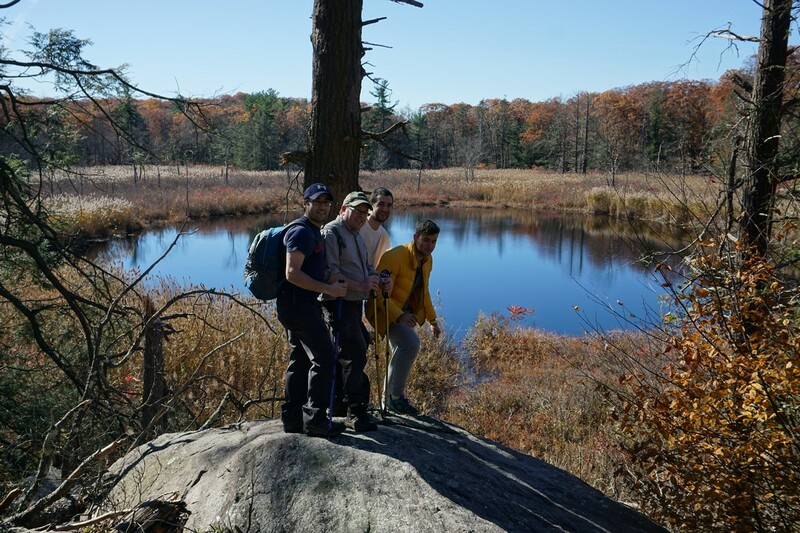 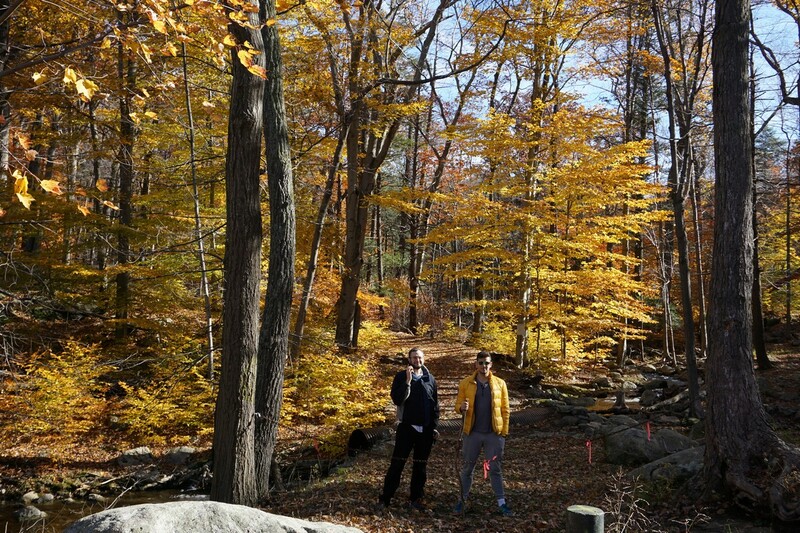 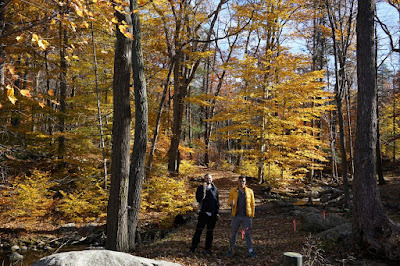 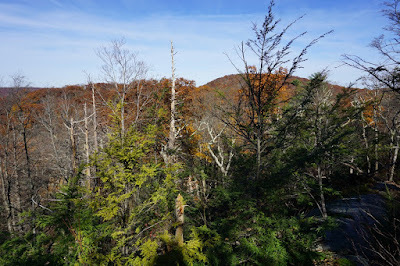 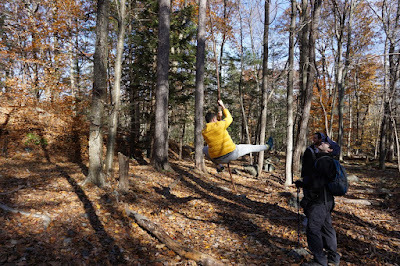 This was a great fall foliage hike. 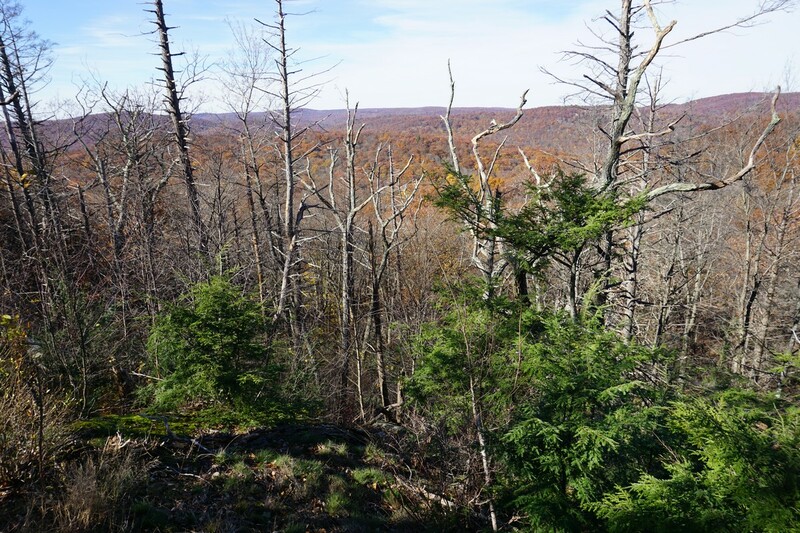 Although the foliage was past-peak, it was still very attractive with excellent weather conditions and relatively warm weather. 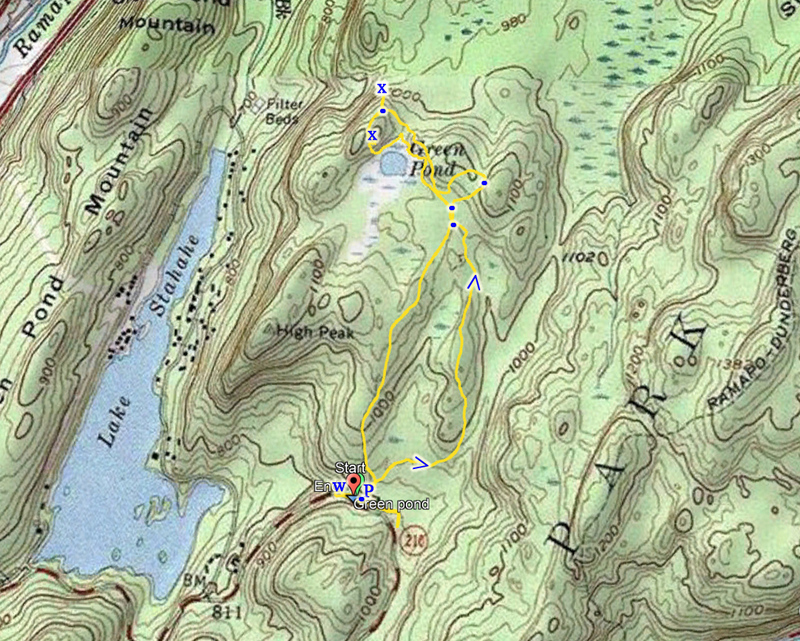 The main White Bar Trailhead parking area was full, so we drove a bit further down the road and parked where the White Bar Trail goes north. 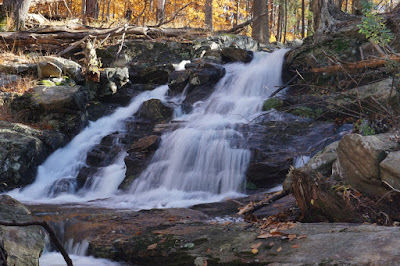 We took a short detour to the small waterfall right down the road from the trailhead. 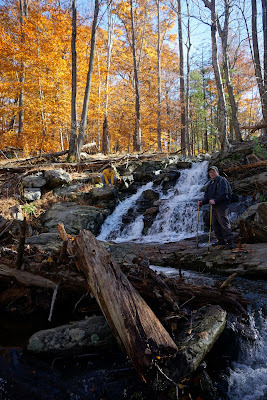 This is a seasonal waterfall, and with all the recent rains it was quite strong. 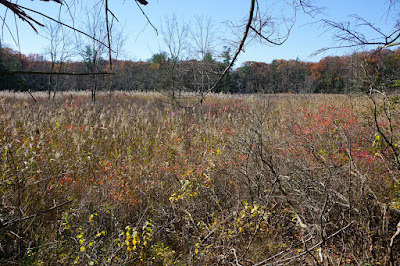 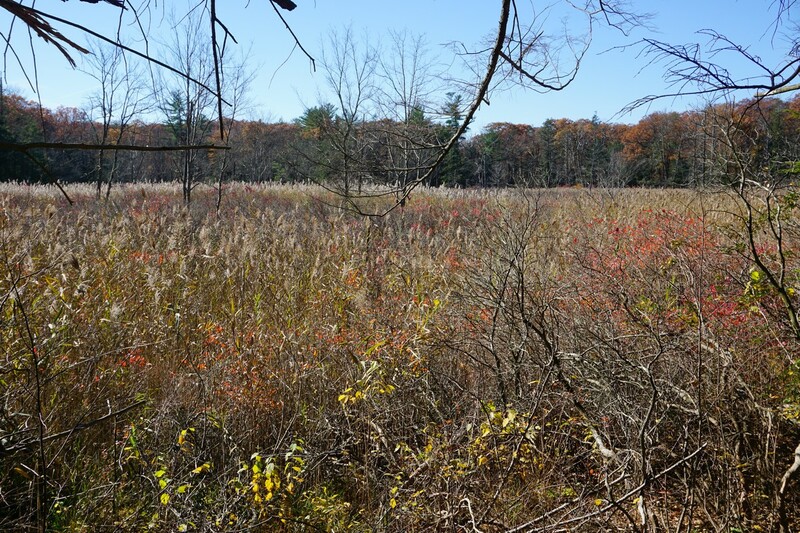 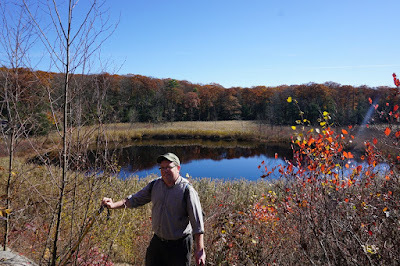 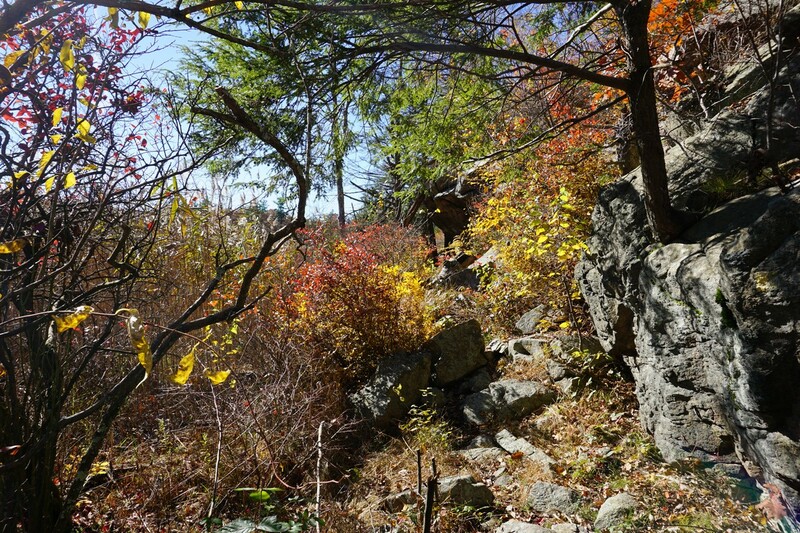 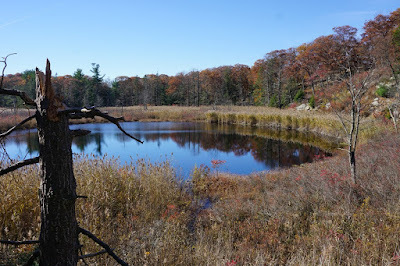 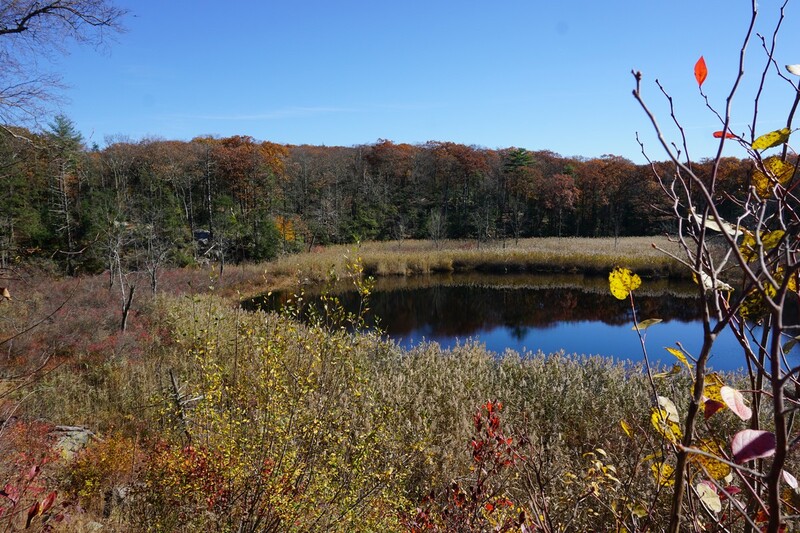 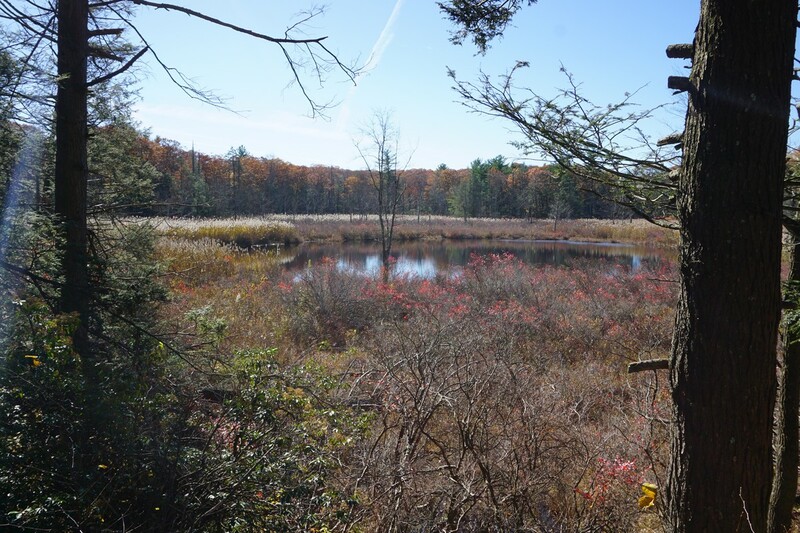 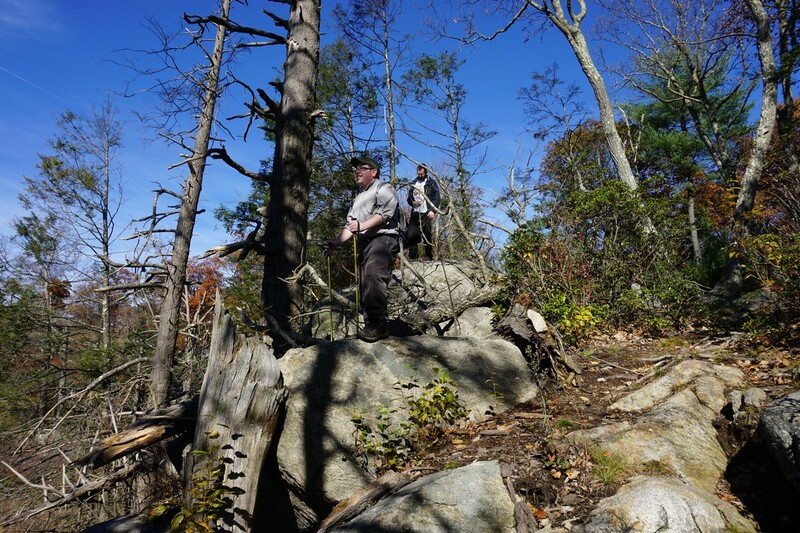 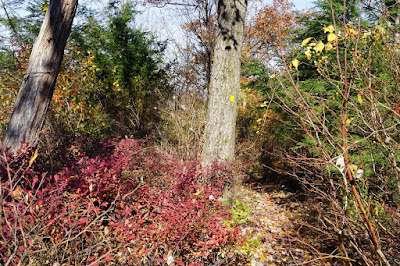 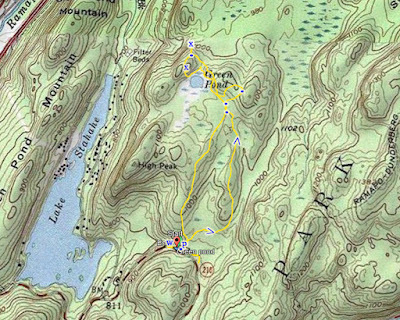 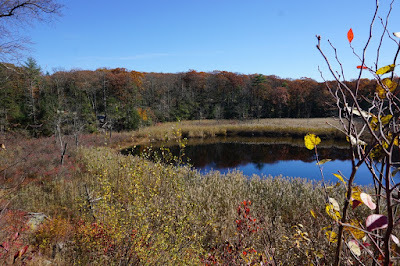 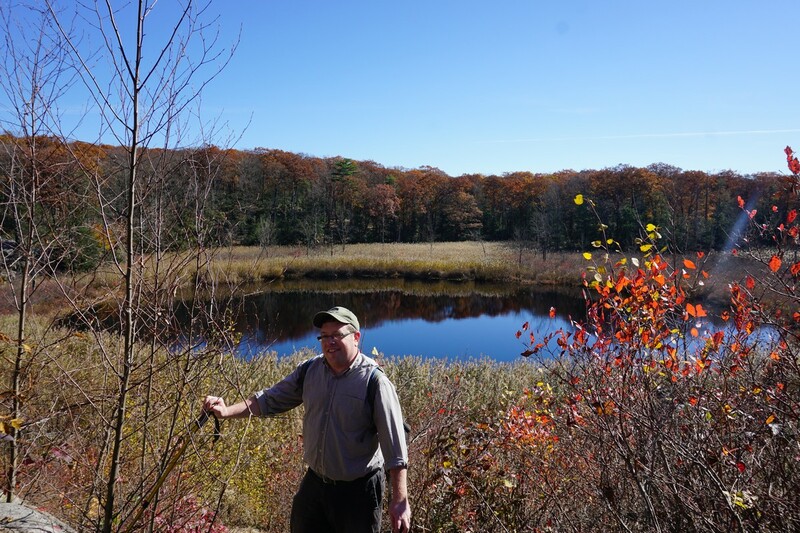 We took the White Bar Trail north, to the Nurian Trail, where it turns towards Green Pond. 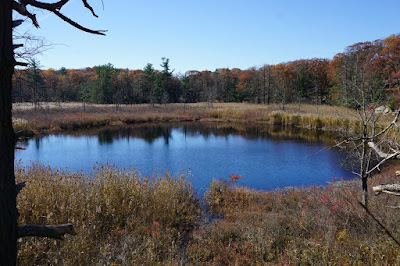 Green Pond is a small, but very scenic natural body of water with a very distinct round shape. 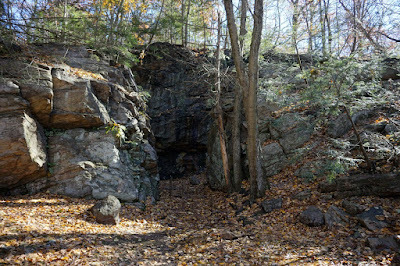 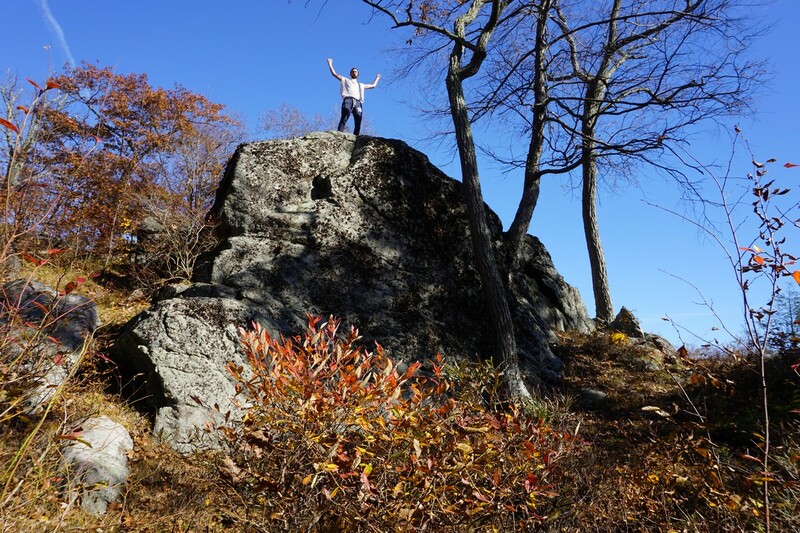 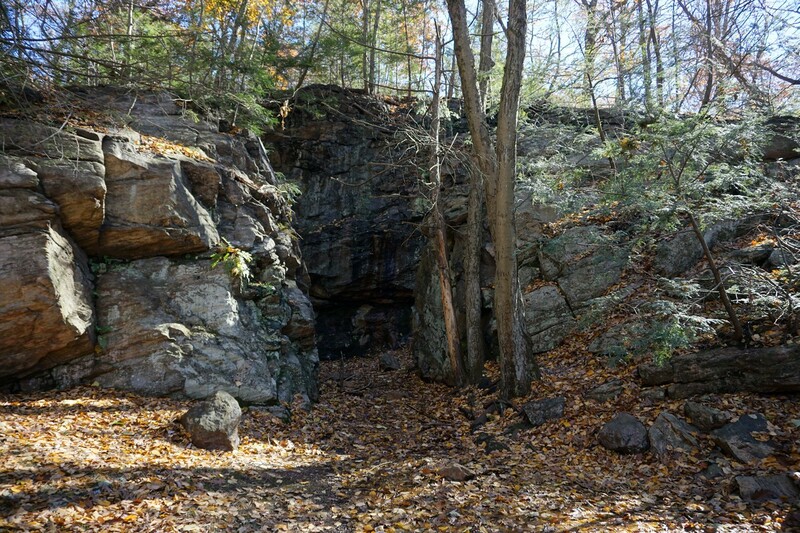 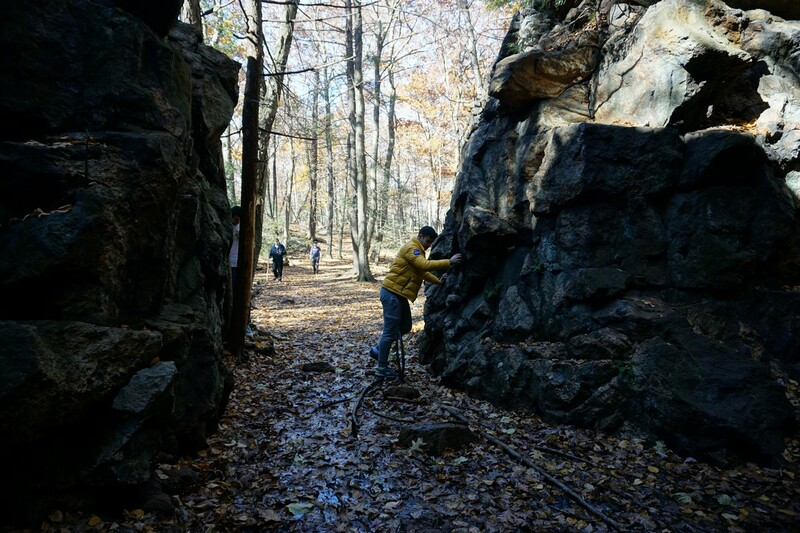 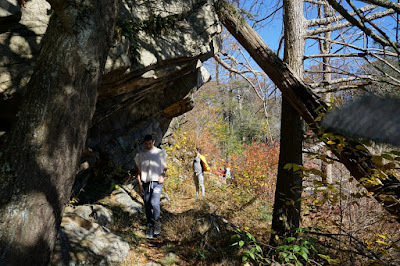 The trail goes along the northern and western part of the pond, with an interesting rock formation and climb on the western side. 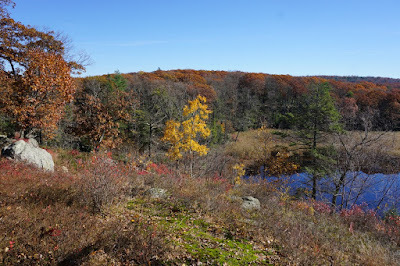 There are great views of the pond here from the cliffs above the pond. We then went to the end of the Dunning Trail, back to the White Bar Trail which we took a short distance north to the view above the Valley of Boulders. We then turned around back on the White Bar Trail, parallel to the Dunning Trail right near where we were previously, and then took the trail to the Boston Mine. 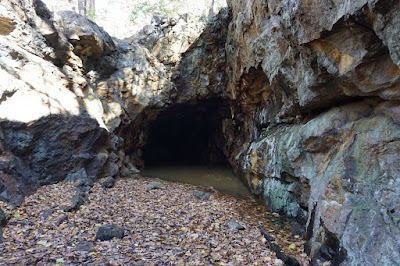 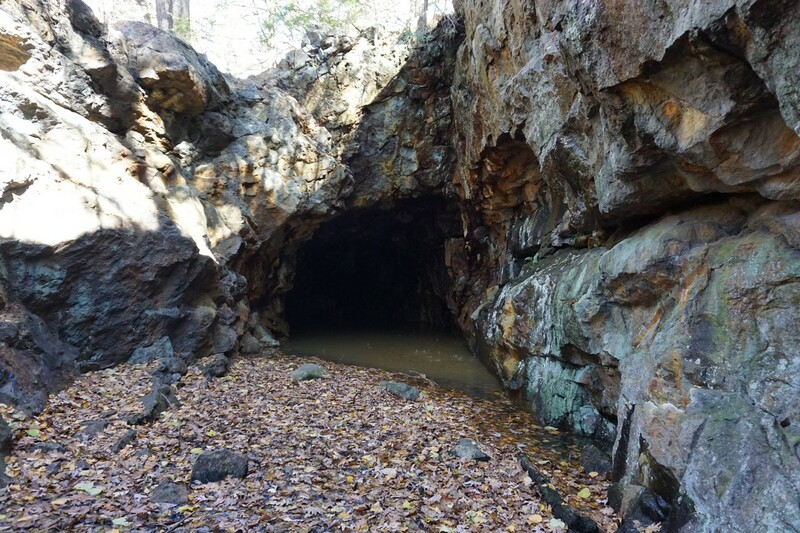 The Boston Mine is a very old mine worked for iron ore. We entered the mine area and looked around, and climbed out from the back up the hill back to the Dunning Trail. 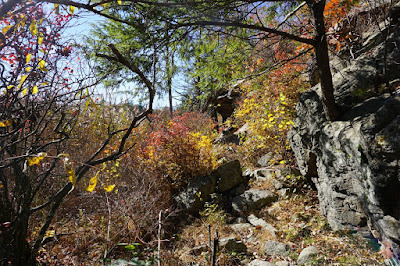 We then bushwacked back down cutting across to the White Bar Trail, and then continued along Island Pond Road back to the parking area.